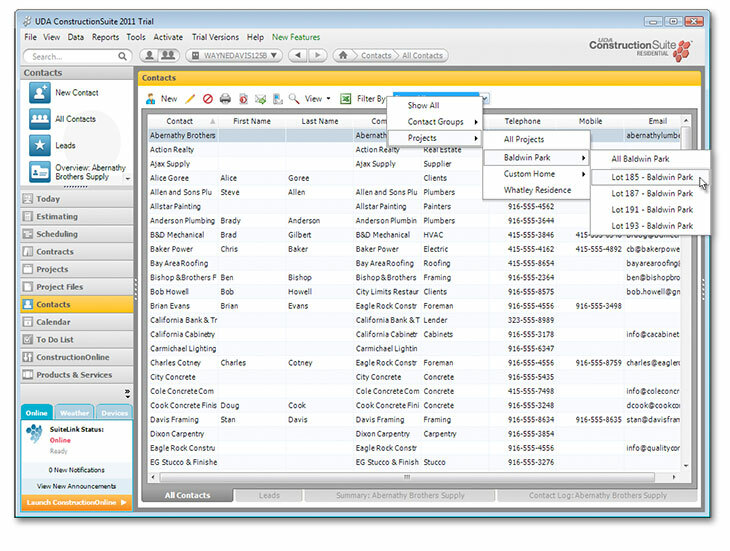 With the revolutionary contact management system in ConstructionSuite, you can easily track your vendors, subcontractors, and other resources across all of your projects. Leverage the vast amount of information stored for vendors, subcontractors, and other resources in the ConstructionSuite database to connect your contacts to Construction Estimates, Schedules, Documents, and more for your projects. 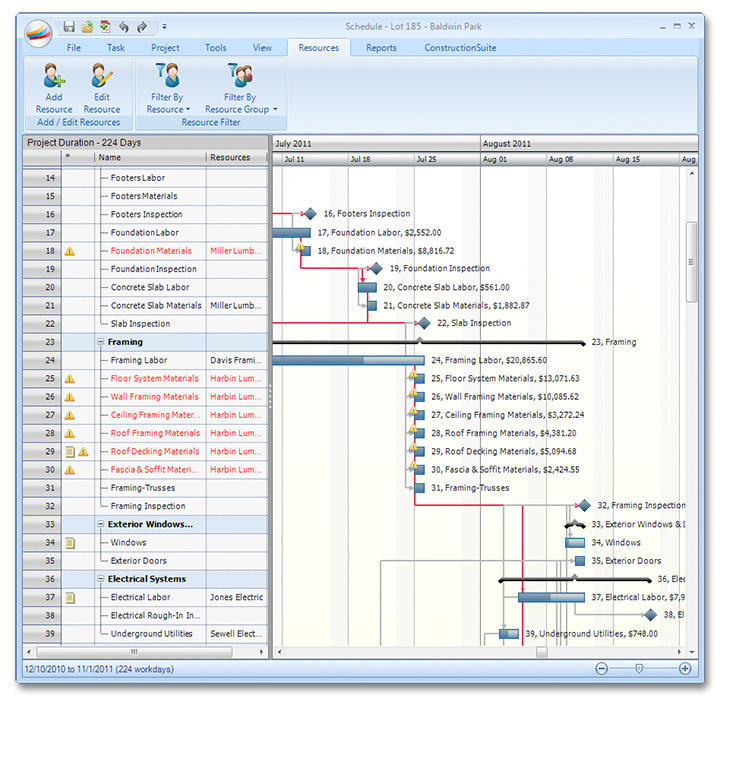 Plus, with the advanced tracking system, you can increase your project efficiency and avoid double-booking resources. 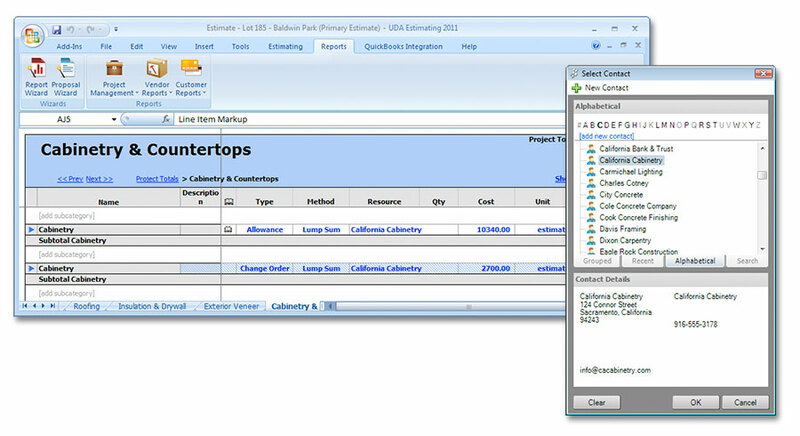 Check sub availability and avoid double-booking resources by taking advantage of advanced resource tracking in the ConstructionSuite database. Assign resources in UDA Construction Estimating software for faster and more accurate construction accounting. 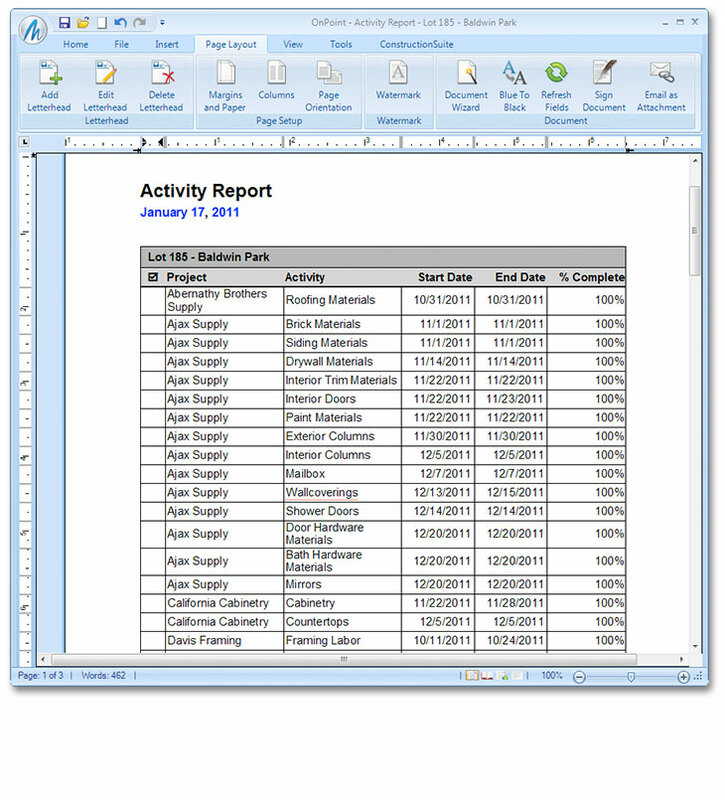 Generate resource-based reports from UDA Estimating or Scheduling for a complete record of that contact's responsibilities. Automatically send reminders to resources assigned in ConstructionSuite Schedules or Activities. 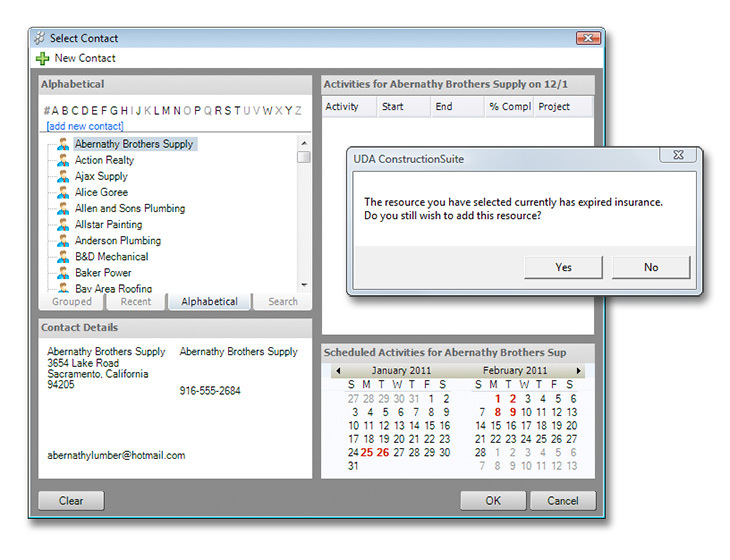 Because ConstructionSuite can store an array of information for each contact in the system, you can automatically repurpose that information throughout your project files without having to re-enter it. Plus, you'll benefit from advanced notifications and reminders when you assign subcontractors, vendors, equipment, and more in your ConstructionSuite Estimates and Schedules. Track and manage resources with UDA Resource Allocation, included in all ConstructionSuite Pro, Premier, Corporate, and Network editions. * Integrate Resource Allocation with the advanced Insurance Tracking system in ConstructionSuite Premier versions and above.